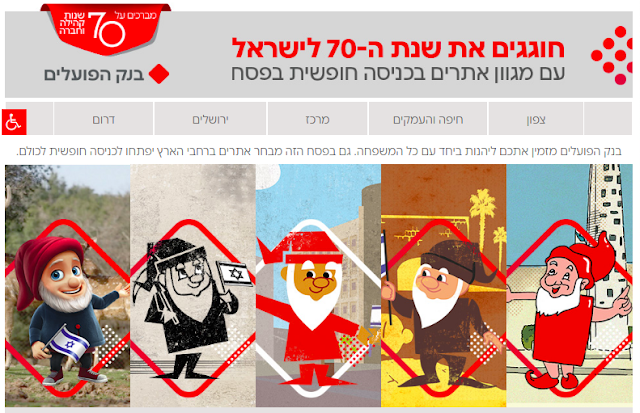 Most sites will offer free admission on Chol Hamoed from April 1-5. Always verify opening hours before you go! Here's the list of MORE free attractions for Pesach 2018, sponsored by Bank HaPoalim. I have linked to websites in English, whenever possible. I hope you find this list helpful, and that you get to have some super-frugal fun over Pesach! Other free attractions can be found in my other posts about this topic (Part 1 - Heritage Sites - Mapa U'Matza, Part 2 - Even BaGalil). I'll be adding more posts as more info becomes available! T hank you so much for taking the effort to translate into English. That is a lot of work ad I really appreciate it.